The usually meek and mild, sweet and sugar, grown-up Hogbottoms have shelved their mellow ways for the fast-paced, furious and frantic wild run made for the boars. Yes. You heard it right. 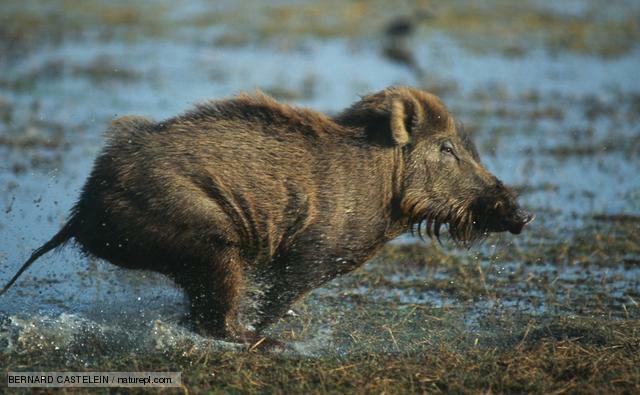 Wild boar run! It all began with the elevator ride with a bunch of drunken beachgoers. We had already gotten on the elevator, and if we had just pushed the floor button instead of standing there like a herd of dumb hogs, we would have missed the whole incident that has resulted in our boardom. The door opened and the surprised group (after all there stood three women) began to enter. The drunken surprised group I should say. Three men of varying ages and one woman. The older man was subdued; the next young man was only throwing out some bad French occasionally, but the gal who stepped all over Terah’s feet and the youngest guy were putting on a show. Rubbing her cheek, the young man was speaking French to her as the woman laughed and spoke English, then some French. Since none of us speak French, it could have been the song lyrics of Frere Jacques for all we know. I do know they were not French. The lady was speaking to the older man about his son, and the older man was apparently just trying to hang on to the wall. So we have surmised all sorts of scenarios of the relationship between the lady who was much older than the amorous young man and the rest of the group of men. I’m sure the truth would be much less interesting. They are on our floor. The young drunk very obnoxiously jerked and jerked on the outside security door instead of using a key until it came open. Maybe they didn’t have one, but we were right there standing with them. They could have asked us if we had a key. No. He proceeds to tear up the door so that now it is more difficult to get into. We now usually have several tries before the key opens it. The first time it happened we were all surprised! Scared the snot out of us. Dar was in the middle of the group meandering back down the hallway to our room. She put out her arm as we passed their door and knocked! It happens often now. The running and laughing down the hall that is. Since the first two or three knocks by Dar and Terah (if I name one I have to name them all), we are now trained to just take off running at the first whiff of a potential knock. 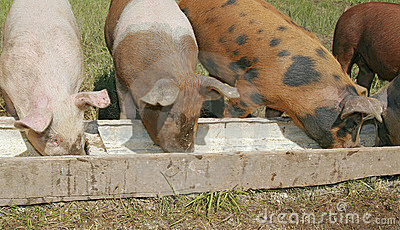 One Hogbottom smells the threat and begins to run; the rest of us take off too. Butts and elbows and backward glances abound. And the laughter. The hilarity is more contagious than the running, and because we are laughing so hard, it’s all we can do to get to our apartment and flatten ourselves against the wall and door to not be seen by the occupants of knocked door. As I have thought on our knocking on the door of the drunken elevator riders, I have decided the joke is probably on us. Not once have we heard the door open to see who knocked nor has anyone yelled out anything. I imagine the only people we are bothering would be the poor souls on the floor below us who have heard the wild boars running.